After a sharp down day yesterday where we’d seen the Nasdaq loose nearly -2%, this morning U.S. stock futures are steady. The U.S. Labor Department will release its September jobs report at 8:30 a.m. ET. Analysts expect employment growth was strong yet again. Economists surveyed by Refinitiv predict the US economy added 185,000 net new jobs last month. Also, a report on the U.S. trade balance will be released at the same time. 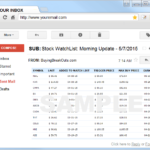 I ran my routine stock screens early this morning and added 4 new stocks to our watch list. 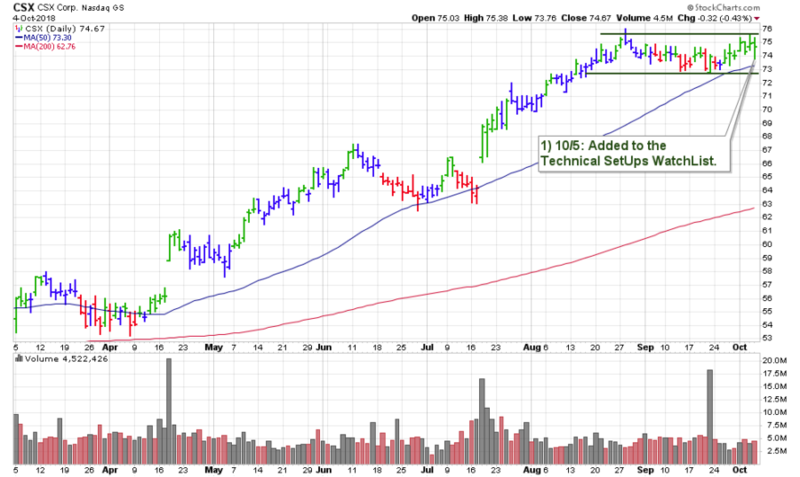 One stock in particular is CSX which was just added this morning. This well-know railroad operator has shaped a tight flat base that is only 5% deep.